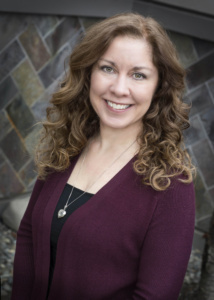 Catherine has a MBA from University of Phoenix and a Bachelor’s degree from Washington State University. Catherine has over 20 years of experience in accounting, operations, project management, compliance reporting and process improvement roles. She has experience with manufacturing, telecommunications, not-for-profit, technology and property management organizations. Served as Accounting Manager for a local non-profit organization managing daily accounting operations including month-end close, invoicing, procurement, fixed assets, accounts payable and annual audit preparation. Served as Interim Accountant processing accounts payable and accounts receivable in QuickBooks and preparing monthly account reconciliations and tax filings. Developed and implemented a department-wide process to streamline service requests and order entry resulting in improved customer service. Created numerous process manuals to assist with the integration of new employees. Served as Certification Specialist in a property management organization processing tenant applications in compliance with USDA Rural Development standards. In-depth knowledge of various systems including JD Edwards and QuickBooks.